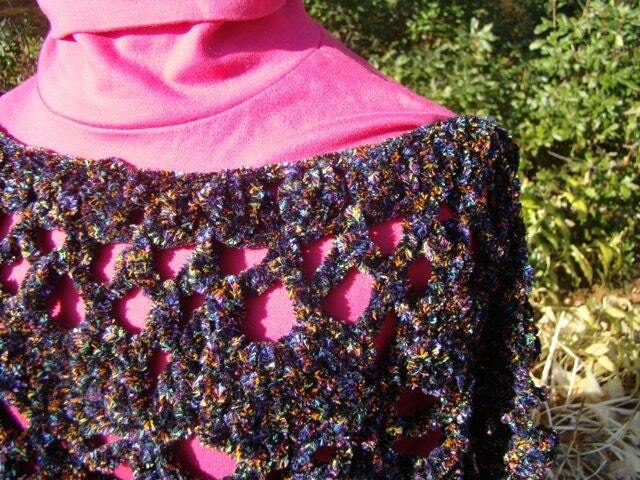 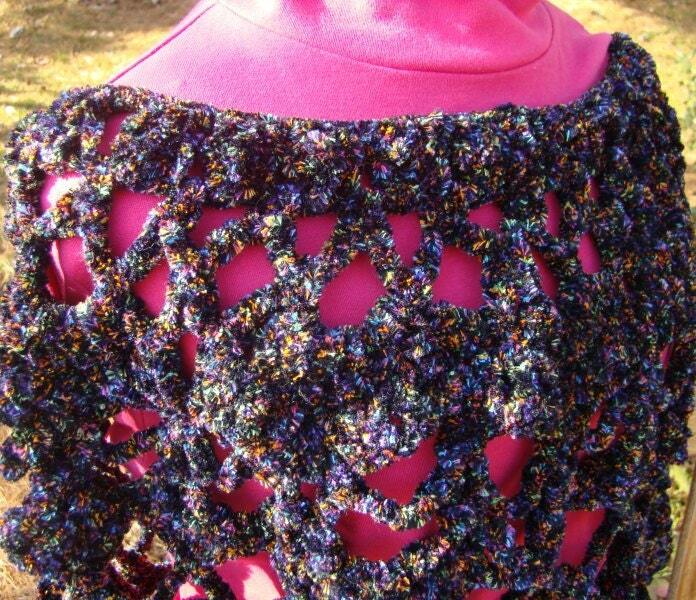 This luscious black and multi colored chenille crochet poncho will delight that special someone. 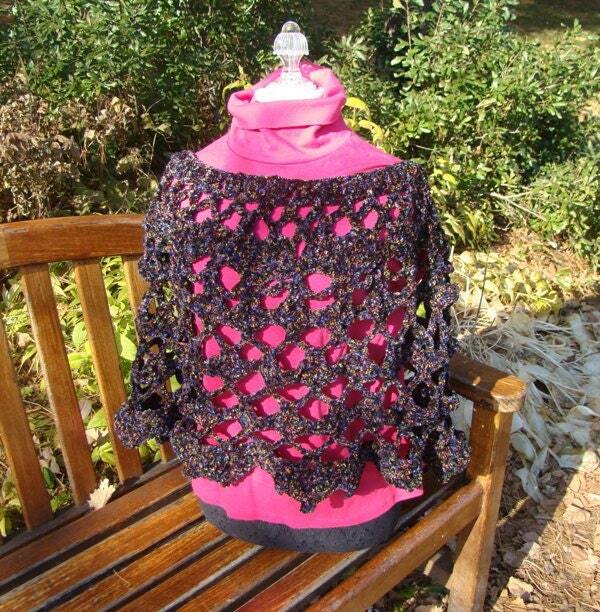 Handcrocheted in a scalloped pattern, it can be worn with a variety of colored shirts or turtlenecks to add flair to fall clothing. 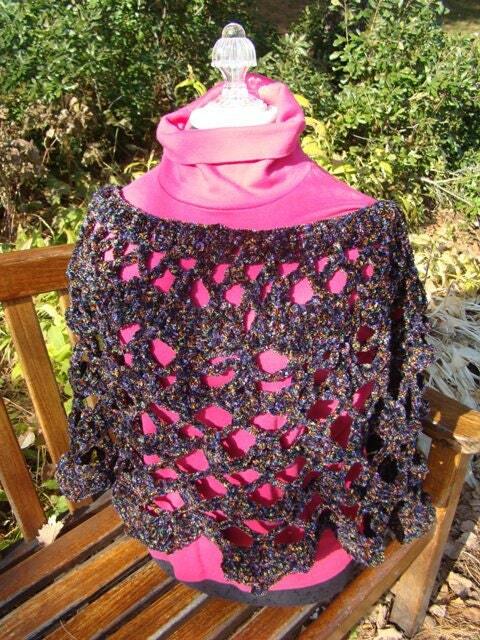 Feel free to contact me for other sizes.